Dr. Vega's office is near the corner of Highway 65 and CC, just behind James River Assembly of God. His goal is to deliver the highest level of quality chiropractic care to his patients and their families in the greater Springfield area and Christian County. "By delivering optimal chiropractic care, we give patients the ability to make wonderful life changes," says Dr. Vega. Dr. Vega specializes in treating patients suffering from headaches, neck pain, low back pain, arthritis, auto accidents, carpal tunnel, allergies and fibromyalgia. As a member of the Doctors Speakers Bureau, Dr. Vega is actively involved in community service projects such as Toys for Tots; The Least of These, a local food pantry; and area schools. Dr. Vega also donates his time to speak to various groups, businesses and organizations on topics relating to health and wellness. 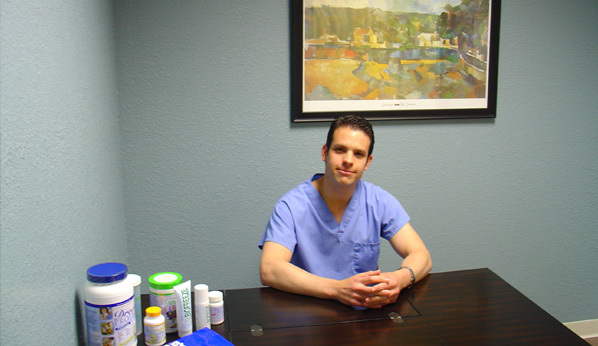 Dr. Vega is a member of the Missouri State Chiropractors Association and the Springfield and Ozark Chamber of Commerce. He is also an active board member for the A+ program in the Ozark school district.